Liz Smith, once called the nation's favourite fictional grandmother, is a familiar face to all TV and cinema viewers. She is most often recognised for her role of Nana in The Royle Family and has appeared in numerous productions over the years. OUR BETTY is Liz's life story - from her cosseted yet lonely childhood with her beloved grandparents (her mother died giving birth to Liz's stillborn sibling), through the war with the WRENS, marriage and children, divorce and poverty, long years working in dead-end jobs such as in a plastic bag factory, until her heavenly escape of evening acting classes provided the chance for a career. While working at Hamley's one Christmas ('I was one of those tiresome people who stop you and beg you to try samples of this and that'), she received a phone call from a young director who wanted to make an improvised film. His name was Mike Leigh and the film Bleak Moments. From that point, when Liz was 50, her career took off and she has worked with some of the most famous names in the entertainment business. 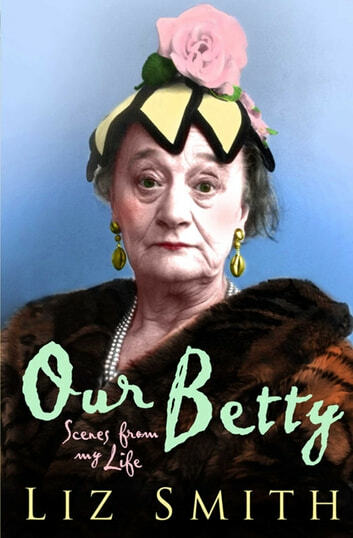 OUR BETTY is, like its author, original, amusing and fascinating on the struggles, hopes and successes endemic of a life in front of the camera.